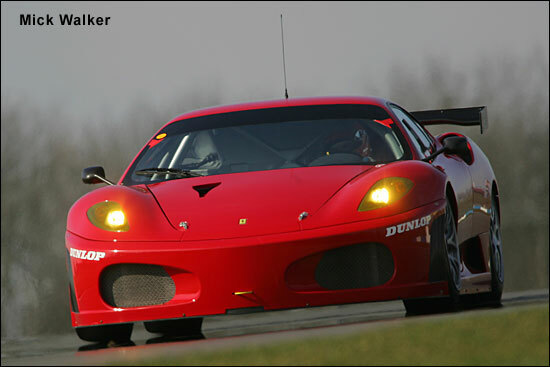 Tim Sugden, Dan Eagling, Ian Khan and Jim McWhirter all sampled the brand new Virgo Motorsport Ferrari F430 GTC at Donington Park yesterday (March 23), and everyone came away absolutely delighted with the new machine. So first impressions are very favourable indeed. “We were in the 1:07s without really trying,” continued Sugden, “on used tyres, while we were still bedding it in. The 360 was a very nice car to drive, but I haven’t had enough experience of that to make a proper comparison – but it felt immediately better than a 360. We were carrying a of corner speed. 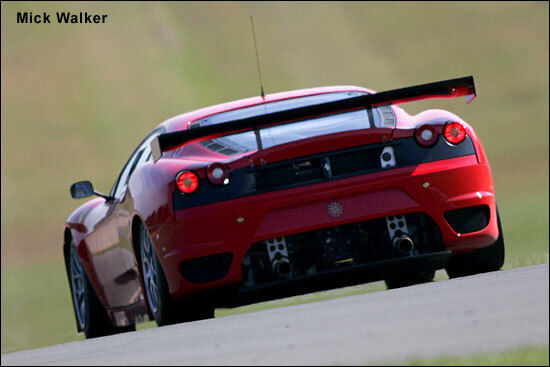 The timing is such that Paul Ricard this weekend isn’t on the schedule – so a race debut for the Virgo Ferrari at Istanbul will be the first public appearance of this Ferrari. These remarks endorse those made by the Risi team at Sebring: that car could so easily have won first time out.